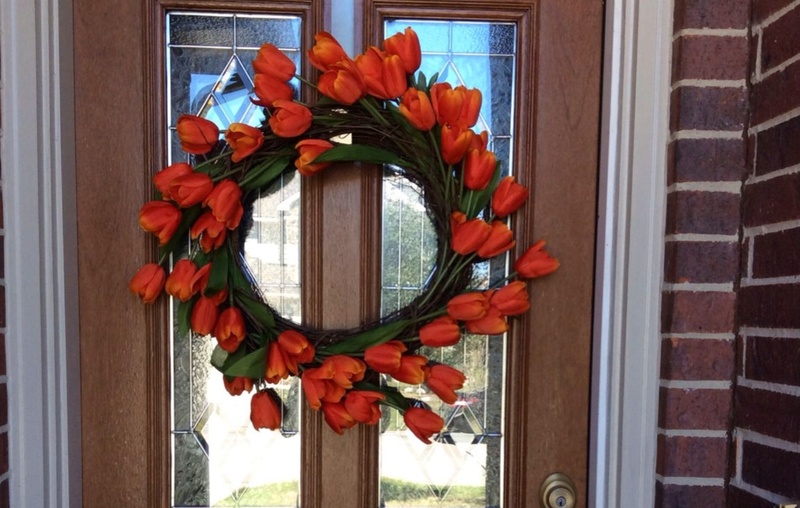 Perfect DIY spring/summer wreath for the front door $15 bucks and under 20 minutes. -First your take you wire cutters and clip all the flowers to an even length. -Now it’s as simple as placing each flower all flowing the same direction and sticking them into the woven wreath. -Once the wreath is full and to your liking take the hot glue gun and place small dots to secure the flowers into place. Remember the beauty is in the flaws so don’t stress to much about making it perfect. -Last wait for all the glue to dry to hang in the wreath hanger of your choice and admire all your (hard) work! There you have it a beautiful customized wreath for you front door for less than $15 and about twenty minutes of your time. Hope enjoyed this quick DIY comment andy questions below or requests for the future.